The Environment Agency held a consultation from the 16th November 2018 until the 11th January 2019 on the proposals for new and amended standard rules for flood risk activities. A new £10,000 digital flood warning and community information board has been installed on the edge of Mocha Parade in Lower Broughton. BS 851188, parts 1+2 have now been issued for public comment and will be open for comments until 28 May 2019. Phase 1 of the Kendal Flood Risk Management Scheme Linear Defences has been approved by planners. 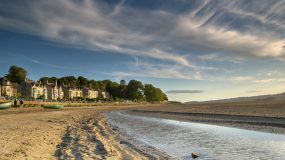 The Environment Agency has published a new economic assessment to aid planning for flooding and coastal risk management for the next 50 years. The Lake District has nearly fully recovered from the damage and destruction caused by Storm Desmond in 2015. 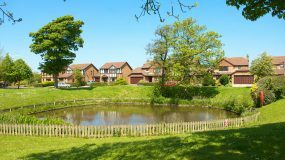 The Association of SuDS Authorities (ASA) is intending to promote the use of sustainable drainage in property developments. Work on the £1million flood alleviation project in Earby has now resumed, the project aims to reduce the risk of flooding to 91 homes and 17 businesses. 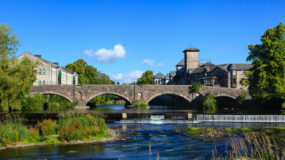 A Flood Risk Management Scheme in Kendal which is designed to better protect residential and business properties from flooding, improve the local environment and improve community amenities has been proposed by the Environment Agency. James Walker & Co is a large, established Cumbrian manufacturing firm is benefitting from a £2.6m investment from Cumbria Local Enterprise Partnership to protect its premises from flooding. According to researchers, a restoration scheme that is underway on the hills of the Peak District has the potential to alleviate the level of flood risk to towns and villages below. In the last few years, DEFRA have seen a significant improvement in the water environment and in resilience to flood and drought and have opened a consultation regarding the improvement of management of water in the environment. 2019 is the Year of the Environment for Liverpool City Region, which will aim to get more people involved in projects to improve the natural world and leave a better environment for the next generation. In December 2015, record levels of rainfall fell over Cumbria caused by Storm Desmond, which had huge impacts. Farmer’s livestock drowned and kilometres of fencing were destroyed as the rivers overtopped. Ribble Rivers Trust are an environmental charity that work to improve the brooks, streams and rivers of the Ribble catchment for the people and wildlife who live there. The North West Regional Flood and Coastal Committee are holding a consultation on their draft Business Plan for the period from 2019 to 2022. The Wildlife Trust for Lancashire, Manchester and North Merseyside has put out an appeal for members of the public to bring their old Christmas trees to their ‘Annual Christmas Tree Planting’ event. There is a UK Government and Parliament petition regarding the sale of wet wipes that are referred to as "flushable" on the packet, which if successful could help to prevent sewer flooding. The Environment Agency are holding a consultation on the proposals for new and amended standard rules for flood risk activities, as part of a review of their charges for regulatory works. 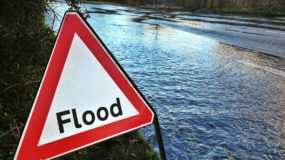 The Environment Agency are gearing up to launch their Flood Action Campaign to make sure people know what to do in a flood, sign up to flood warnings, and keep themselves and their families safe. The NCAS-X-band weather radar in Cumbria has been successfully put in place by The National Centre for Atmospheric Science and the Environment Agency. The radar will provide new observations to improve the Environment Agency’s flood forecasting and warning services. 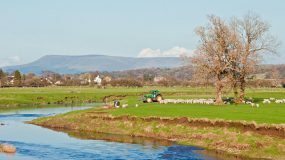 A new 'Natural Flood Management handbook: a practical guide for farmers' has been produced, funded by West Cumbria Rivers Trust, Newground, Heritage Lottery Fund and the Environment Agency. As part of the Chancellors Budget, Phillip Hammond has announced a £60 million pledge to plant more trees in order to preserve the country's environment. The new wave reflection wall that will reduce the flood risk to 11,400 homes over the next 100 years has been opened by the Environment Minister Thérèse Coffey. A community clean-up event in Kendal took place on the 14th October which was organised by the Castle Street Community Flood Action Group to protect homes against future flooding, coincided with a weekend of flood warnings and alerts. Ribble Rivers Trust are holding this event to install leaky dams to slow the flow into Hungrill Beck. 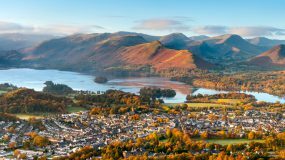 Cumbria County Council are holding a community drop-in event for the new flood resilience and defence infrastructure they are delivering in Keswick. 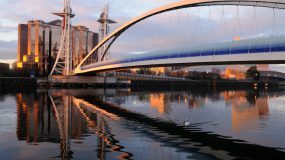 The British Hydrological Society (BHS) is holding a national meeting on natural flood management (NFM) to present findings and discuss interventions. West Cumbria Rivers Trust are holding a guided walk along the River Keekle to explain their river restoration plans and why they are important. Join Mersey Rivers Trust to carry out restoration of a riverbank where it has eroded. The Environment Agency and Cheshire East Council are holding a flood awareness drop-in event for Poynton. Eden Rivers Trust are holding an event to look forward at what's to come in 2019, which will include various talks and an opportunity to visit some of their project sites. Join Mersey Rivers Trust in this tree planting event to help restore areas of eroded riverbank.